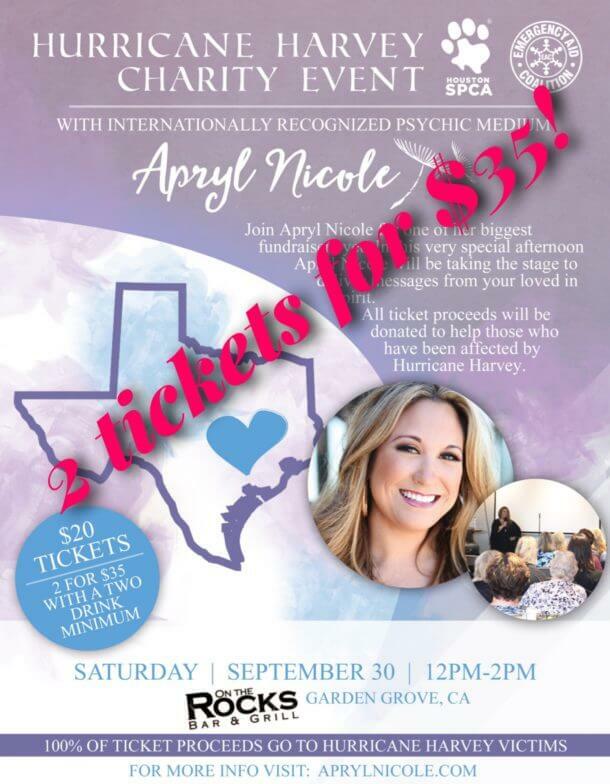 Join internationally recognized Apryl Nicole Psychic Medium for a special afternoon of messages from your loved ones in spirit. 100% of the ticket proceeds will go to those affected by Hurricane Harvey. The devastation by Hurricane Harvey has left the city of Houston in serious need of assistance. The death counts are climbing, thousands are left without homes, animals are being abandoned, and there are no more available spaces in shelters. Texas needs our support and kindness. 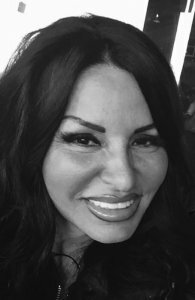 Proceeds will be donated to Houston SPCA and Emergency Aid Coalition.